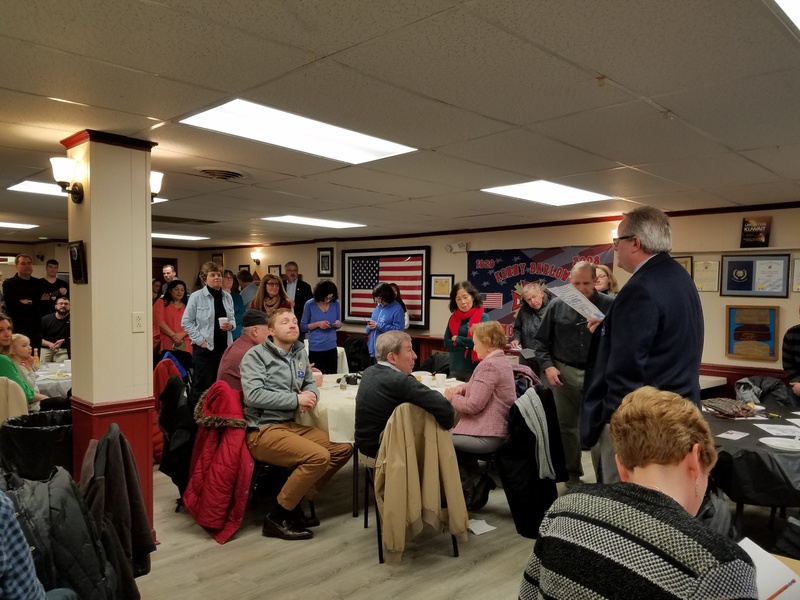 Springfield Democrats have been busy preparing for Spring and the Primary Elections season! 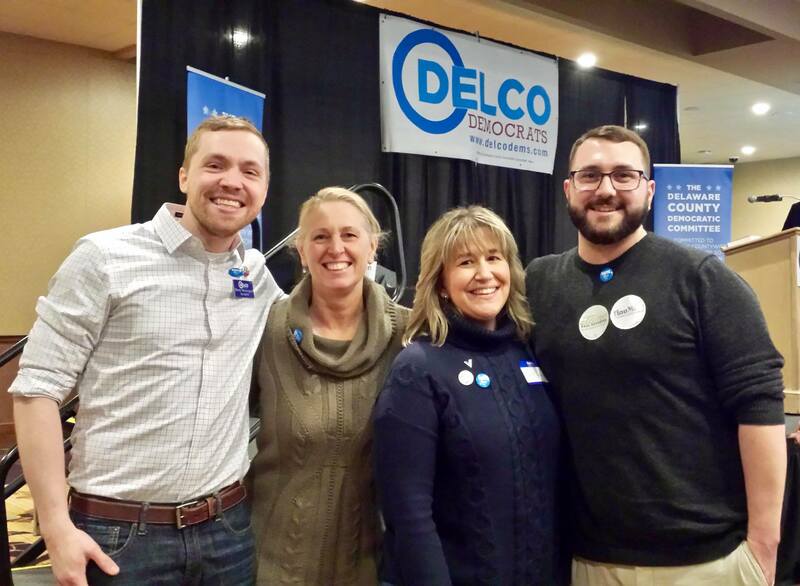 We kicked off with the Delaware County Democratic Party Nominating Convention, which was held on February 24th. 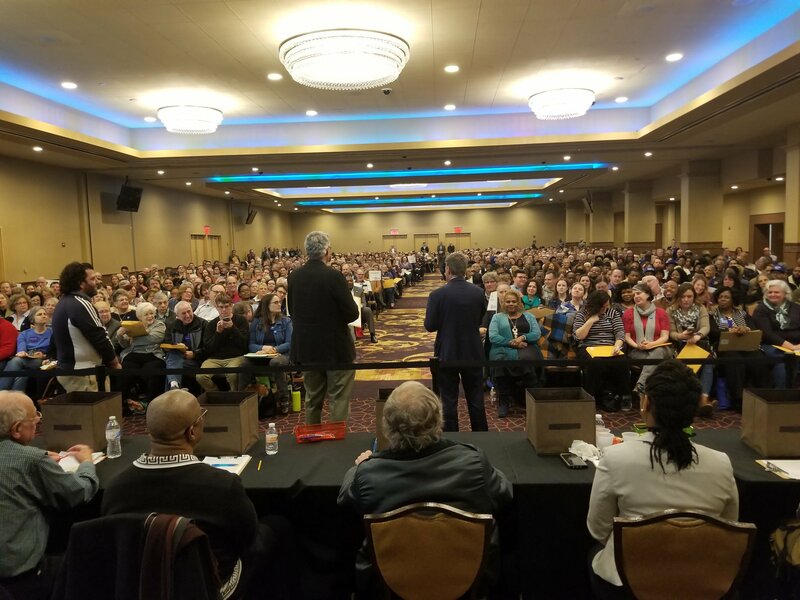 There were 876 voting members in attendance from throughout the County, with 41 Springfield Democratic Committee members participating either in person or via proxy. See the Candidates Page for more information about the endorsed candidates. Next up was the annual joint breakfast with the Marple Newtown Democrats on March 9th. This year’s event was a great success. Folks had a chance to mingle and meet fellow Committee members and candidates, and have their petitions notarized. Many thanks to our Media VFW Post 3460 and our generous sponsors: the local Bricklayers, Laborers, Plumbers and Steamfitters unions, Kelly Eckel, Claude Falcone, Stephanie Klein, Judge Daniel McCaffery, Dan Muroff, Rep. O’Mara, Nusrat Rashid, Jonathan Saidel, Ray Santarelli, Elaine Paul Schaefer, Jack Stollsteimer and Monica Taylor. 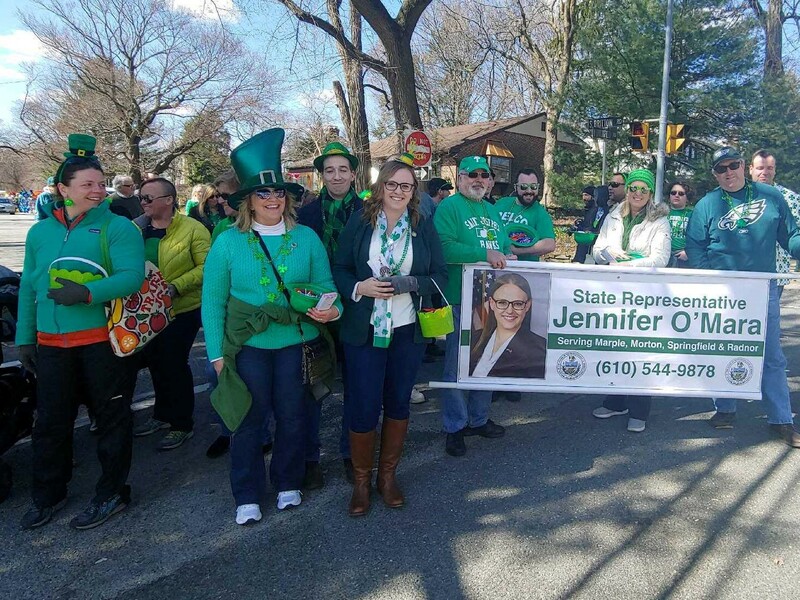 Yesterday, Springfield Democrats donned their green and turned out to march with Rep. Jennifer O’Mara, her staff and supporters at the Springfield St. Patrick’s Day Parade. Also joining in the festivities were Senator Tim Kearney and his staff, and Congresswoman Mary Gay Scanlon and her staff. Finally, Springfield Democrats are gearing up for election season with a full slate of Commissioner candidates, Westy Westergaard, Rose Fasciocco, Pasquale Cipolloni and Marie Turnbull, who are running in Wards 1, 3, 5 and 7. See their website, Springfield Forward, and like them on Facebook. With your help, we can Turn Springfield Blue in 2019!